RSM Joinery - Carpenter based in London, Greater London. 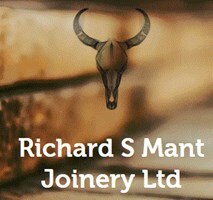 Welcome to RSM Joinery and thank you for taking the time to look into my company. With every design, you can be sure that your product will be made to fit your style and purpose. As with each customer we provide a measure up and design service where practicality and your design concepts come together to create you very own product. With over 20 years’ experience in the trade, we can guarantee that you will love working with us! We certainly know how to get the job done properly and to an excellent standard. Every design is made to fit you and your needs, so you do not have to worry about anything other than the style you like. We will do the rest to make sure that you love our work just as much as we do! Please feel free to contact me on the above contact details.